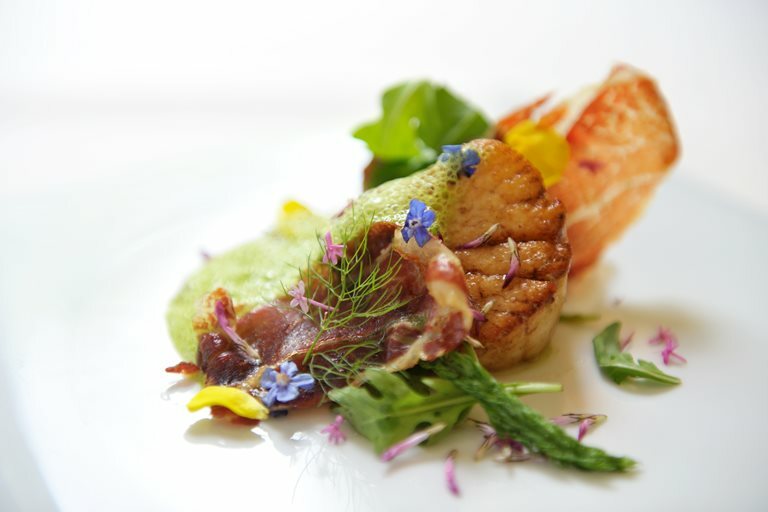 This beautiful scallops recipe from James Sommerin is garnished with edible flowers, a beautiful tradition that dates back centuries. Use edible flowers that are free of pesticides from the market or from your own garden. The dried Ibérico ham pairs well with the lovely flavour of scallops, - you can find ham already dried in specialty shops to save time. Place the salad leaves on plates with the Ibérico ham and scallops, then dress with the parsley foam, edible flowers and fennel fronds. Serve immediately.